Ekaterina Romanova, the estranged wife of Russia's wealthiest oligarch Konstantin Gravchenko, asks Scott Mitchell, an idealistic young English human rights lawyer who is being intimidated by the authorities, to find the father she's never met. She believes he's been languishing for decades without trial in the Gulag system. Meanwhile, General Pravda of military intelligence, though an advocate of transparency, is determined to protect a covert operation that he's been running for years. General Pravda hinders Ekaterina and Scott at every turn and lawyer and client are forced to go on the run for a murder they didn't commit. As they descend into the Hades that is the world of international realpolitik Scott is compelled to reconsider his own values, and Pravda's life's work disintegrates, when Scott uncovers a 50 year-old Cold War secret, which both the Russian and US governments are still trying to hide from the public domain. 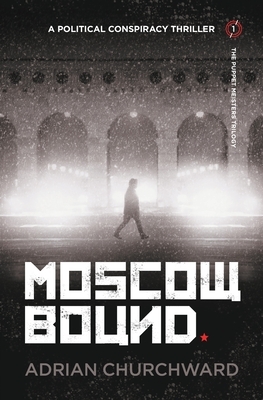 'Moscow Bound' is the first book in The Puppet Meisters trilogy, dealing with state abuse of power.